Furniture: For Yamaha YZFR1 2007 2008 YZF R1 NoteThis is very importantPlease clean the stains on the clean tank before installation to ensure that there is no residual moisture. Otherwise it will lead to the use of the process of falling products. 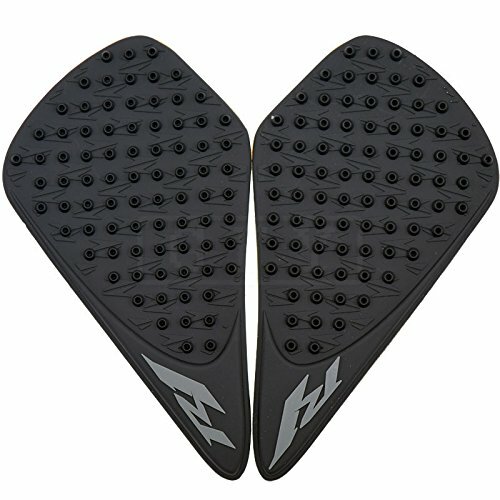 Condition: 100% Brand New, High Quality Material: Silica gel with a super strong adhesive 3M ® Quantity: 1 Pair (Left and Right) Color: Black characteristic: The point on our product are removed, level can reduce fatigue and improve stability in the curves; Traction pads that grab your ride incredibly easy, and require less energy to stay on the bike. Provides better bike control, reduces arm pump and saves your pants and boots; Custom designed to fit frames and gas tanks.